Which fridge freezer is the best option for you and your family? The truth is, buying a new refrigerator is not as easy as simply going to the store or going online and picking out the first one you see. Obviously, you want the best fridge freezer that your money can buy, but how do you really know which choice is the best choice for you? 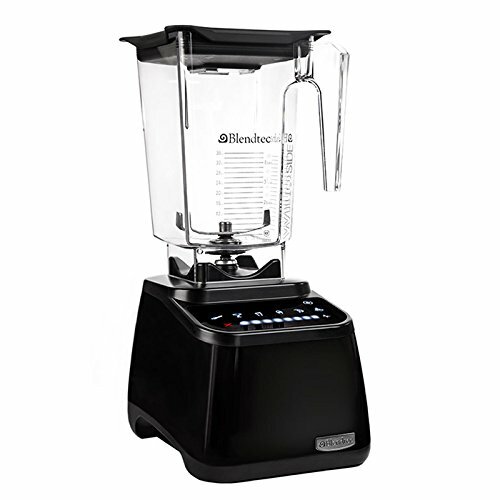 The Blendtec is seriously powerful, can take the ingredients while running and that also help the mixture not to stick on the sides of the blender. In this fridge freezer buyer’s guide, you can find out more information about the different options that are available to you, as well as learning which features are typically present on certain designs. All of this will ultimately help you decide how to make a purchasing decision that you are happy with when it is time to buy a new refrigerator. Keep reading to find out more about the different styles that are available. This is by far one of the most popular designs when it comes to both commercial and residential fridge freezers. The reason these are so popular is because of their larger size. When they are in use, they can accommodate more items that need to be chilled.This in turn makes the side-by-side fridge freezer a good idea for larger families that obviously need to purchase more food items at any one given time. In addition, these designs usually feature a separate side for the freezer so that one side provides access to the refrigerator and one side freezes the food. More often than not, separate bins exist for fresh vegetables or fruit and the shelves can be adjusted to accommodate for other products of different heights. It is even possible to purchase one that is a much larger size than some of the older units and they can be purchased with automated water and ice dispensers. However, it is possible to run into some problems with these, the most frequent being that the refrigerator is simply too large to fit in the area you are trying to put it. Make sure that you buy a refrigerator that fits the space that is available and take the time to make certain that when you open the doors, they will not be swinging directly into a wall or a cabinet. This is especially important when it comes to larger refrigerators like the side by side versions that are currently available. Another popular version involves having the freezer placed directly on top of the refrigerator. This does not provide quite as much room overall as many of the side by side versions, but it might give you more room for individual objects that are larger and must occupy an entire shelf. Typically, you find these types of refrigerators in homes where space is at a premium. If you don’t have a great deal of room to dedicate to a side by side, this is definitely an option to consider. More often than not, you can easily fit everything you need inside and have room left to spare, even though it is a smaller size. However, you might want to consider whether or not it is a good fit for everyone in the family, as you will typically have to open specialized bins at the very bottom of the refrigerator to reach vegetables or fruits and then retrieve freezer items from the very top of the unit. Obviously, this can be a problem for anyone that has limited mobility or is wheelchair-bound. This is another version that simply reverses the order of the refrigerator and the freezer, leaving the freezer on the bottom. It might be an ideal option for someone that doesn’t really use that many items from the freezer and therefore only needs it occasionally. One of the biggest drawbacks of this type of system is that it can be difficult to find things inside the freezer portion, as everything has a tendency to get piled in together. Now that you know some of the things to look for, you can decide which type of fridge freezer really works best for you and then go from there. Remember to measure everything first and consider what will be the easiest purchase for everyone in the family so that each member has equal access to everything inside. It is always a good idea to purchase a unit from a well-known company that has a proven track record but even doing that won’t help you if you purchase the wrong design and then wish you had something different after the fact. That is why it is so important to carefully consider the features of each design before you make a decision. That way, you can be at peace with your choice for several years instead of wishing you had purchased something different.